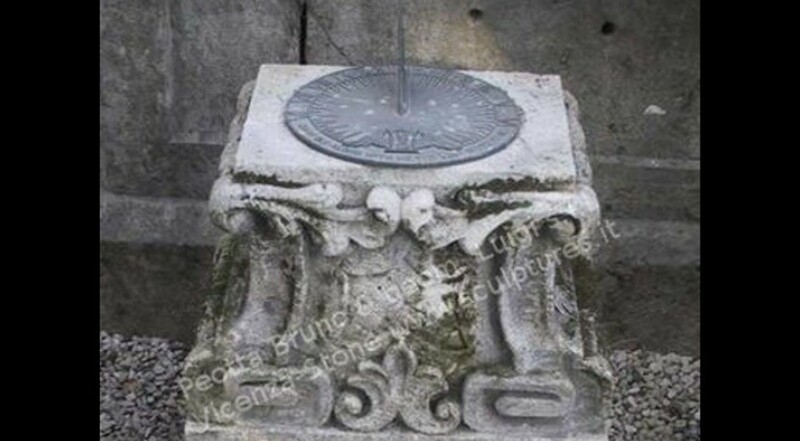 A very antique sundial base with decorations on the front and each sides, a particular classic form used in the old England parks The bronze sundial on the top. The general form of the sundial base was in the antique a baluster, round or square in section, plain or enriched with sculptured ornament. Have the 18 century origin.